In the Human Factor we profile people who have overcome the odds against them. Confronting a life obstacle – injury, illness or other hardship –- they tapped their inner strength and found resilience they didn’t know they possessed. On Sunday, J.R. Hildebrand would have been the 9th rookie to win the Indianapolis 500, had he not crashed in the final turn of the race. He was passing another rookie, Charlie Kimball, at the time. Kimball ended up in 13th place but that's not the end of his story. This week , Kimball shares how his life has changed since he was diagnosed with diabetes. Here is his story in his own words. While I am definitely pumped to get up each morning and go to the “office” and do what I do – mainly driving a race car – there is another side of my job that brings me great joy and that is having the honor of meeting members of the global diabetes community each time I go to work. The diabetes community is a group of men, women and children who I didn’t even know existed before I was diagnosed with Type 1 diabetes in 2007. There are 24 million of us in the U.S. alone and the connection among people living with diabetes is stronger than I think anyone realizes. Would you send an STD e-card? E-cards are last-minute lifesavers when you’ve forgotten to send a happy birthday card. But they’re not the first thing you think of when you learn you have a sexually transmitted disease. 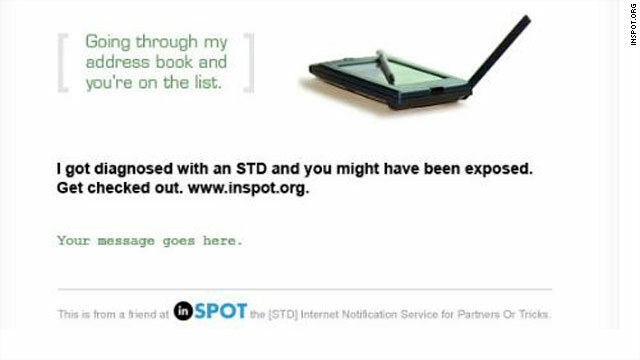 But since 2004, a free Web site, inSpot.org has allowed users to anonymously notify their partners to get tested for STDs such as HIV, gonorrhea, chlamydia and syphilis. The online program allows users to send an e-card anonymously, specifying the STD. The tool exists, but do people use the STD e-cards? "There is a lot of confusion about sports drinks and energy drinks, and adolescents are often unaware of the differences in these products," said Dr. Marcie Beth Schneider, a member of the AAP Committee on Nutrition and co-author of the report. I'm 39 years old and have had a few floaters in both eyes for as long as I can remember. I go to the eye doctor every year for my glasses but forget to ask about these floaters. What causes them? Do I need to worry? Quiz: Sun safety, whole grain vs. multigrain, and more! How much protein should I take post-workout? What the Yuck: Hot yoga or hot mess? Q: My friend keeps trying to drag me to her hot yoga class, but could it be hazardous? It could be. Bikram yoga, also known as hot yoga, takes place in a room that is 100 to 105 degrees with 40 percent humidity. Exercising in such a warm room can cause dehydration or heat stroke, so be sure to drink plenty of water (at least 16 ounces) before and during hot yoga. Diabetes stemming from pregnancy can cause a host of problems for baby and mother alike, including birth complications and a higher risk of developing the more serious type 2 diabetes later in life. In a new study, researchers say they've identified a series of routine health measures that can help doctors predict years in advance which women will develop pregnancy-related diabetes, paving the way for lifestyle changes and other early prevention efforts. Obesity, elevated blood sugar, and high blood pressure were all linked to a higher risk of developing pregnancy-related diabetes, also known as gestational diabetes. The odds were nearly three times higher among overweight and obese women as among those of normal weight, the study found, and the odds were roughly 2.5 times higher among those with slightly elevated blood sugar. A federal judge ruled Wednesday that accused Arizona Safeway shooter, Jared Loughner, who has been diagnosed with paranoid schizophrenia, is not mentally competent to stand trial. What exactly does that mean? 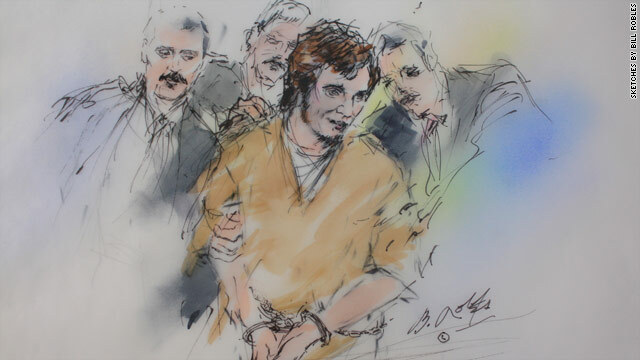 In order to stand trial, generally it must be determined that the defendant is in touch with reality and has a rational understanding of basic concepts as they relate to the criminal process.